- Check-in after 15:00, check-out by 11:00. A duplex, this room was once used for tools more than 150 years ago. The ground floor has a Japanese tatami mat room with a traditional kotatsu (heated pit below the table for warming feet), a bedroom with two double beds, a full private bath and toilet. 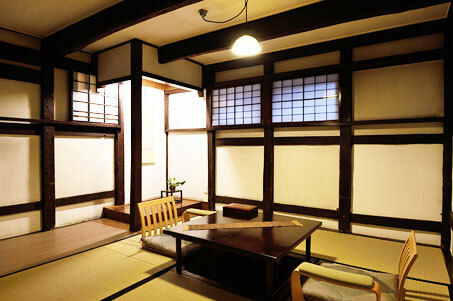 Upstairs, a Japanese tatami room.